This article gives a brief knowledge of factors which you should be careful with when storing teas and five convenient ways of storing black tea. Black tea is a type of tea that is more oxidized than oolong, green and white teas. It is prefered by tea lovers worldwide for its good taste and lovely color. Studies also show that the “Black tea” is abundant in nutrients, such as flavonoids (antioxidants), which can prevent damage in both the bloodstream and at artery walls, and lowering the risk of heart disease. But if not stored in appropriate conditions, black tea can soon deteriorate and become harmful to your health. So, proper storage method is imperative to tea quality and flavor. 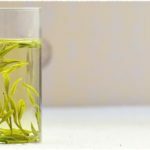 Sunlight can quickly degrade your teas by destroying Vitamin C in leaves, darkening tea liquid and bittering taste. So, if you want to enjoy them later you need to bear this in mind. Temperature is also a crucial factor that needs to be treated carefully. Experience tells us high air temperature can speed up the rate of deterioration by decreasing the nutrient content and results in bad taste. So, avoid placing it in the sun or lamplight or place near heat sources, like a stoves and ovens is necessary. Just like desiccant, tea absorbs water from the air easily. Especially for some teas undergone baking and drying process when producing such as “green tea” or white tea can easily go bad if allowed to become damp. So, tea leaves with higher level of water content is much more like a breeding ground for microbes which may cause mildew because water is an essential condition for microorganism activities. Exposure of the tea to air can be harmful to tea flavor as it increases the chances of absorbing moisture and odors. So, you’d better use the clean and airtight container to store them. The good way of storing food in refrigerator to keep them fresh is also can be applied to tea storage. When doing this, you’d better pack them in sealed package first to avoid odor and moisture which can damage tea color and taste. At the same time, another thing you should keep in mind is that long preservation in refrigerator can downgrade tea quality as well, even if the rate is slow. So, you should consume them as fast as you can. 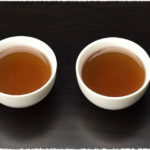 Generally, Black tea can be stored well in dry conditions with temperature blew 5 degrees Celsius for more than 1 year. One convenient way to store dry black tea leaves is to put them in a airtight “tins”. Before doing this, you should examine your container carefully to make sure that they are in good airtight condition without any leaks. This way is easy and low-cost but not a good choice for long-term storage. A vacuum flask is a container that is used to keep hot drinks hot or cold drinks cold. It has two silvery glass walls with a vacuum between them. Except for keeping water, it is also can be used for tea storage. Now, I will show you how to use it. Firstly, you need to clean them and let them dry. Secondly, fill your vacuum flask with dry leaves (gently and slowly) as much as you can to expel air vacuum flask out then close it with a cork. Thirdly, cover the cork with white wax then sticky tape to seal it tightly. Generally, benefiting from relatively moderate temperature, teas in vacuum flask can maintain fresh for relatively long time. Charcoal possesses the characteristic of absorbing moisture and so some people take advantage of this to store black tea. The dry charcoal needed to be wrapped in a piece of clean cloth and then put in tea container such as a lidded earthen jar. Thereafter, you should examine them and replace them with dry new charcoal regularly to keep inner as dry as possible. Note: Charcoal is a black substance obtained by burning wood without much air. There is another way of storing black tea you may be interested in. Firstly, prepare a small dry, clean clay pot with a small bag of lime powder inside. Secondly, put tea bags onto or around the small lime powder bag (which can soak up excessive water vapor) one by one until with no more room left. Thirdly, cover the pot with a bag of cotton as tightly as possible. To keep inner dry, the lime powders needed to be changed every one or two months. After a relatively long time, teas stored in a relatively long time can still have good taste without any mildew. 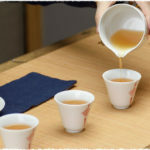 NextNext post: What do you know about spring tea?